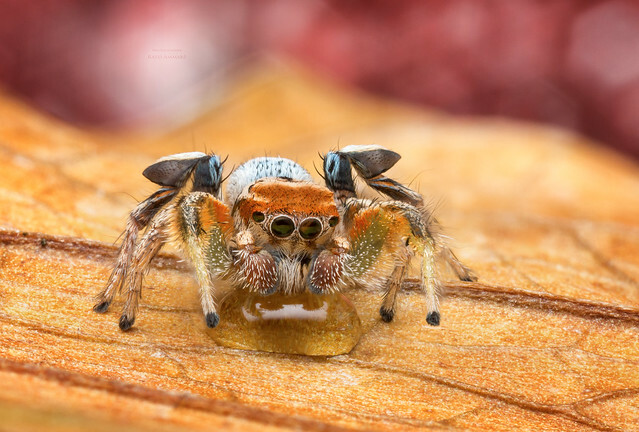 A male Habronattus Jumping spider drinking water. 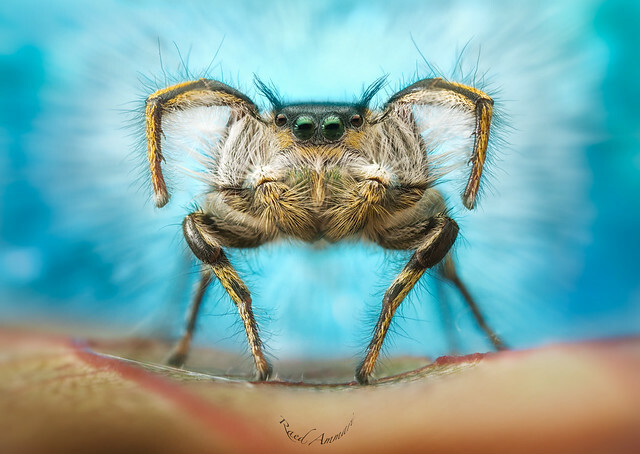 Image by Ethos79. 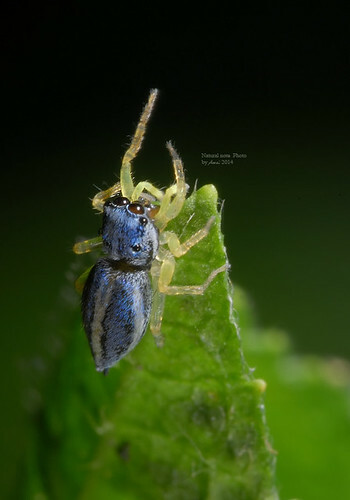 Fridie Spidie: Master of Seduction! 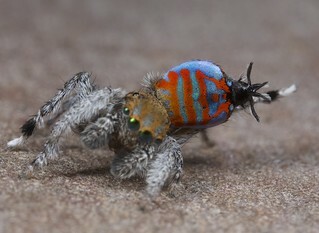 Male Phidippus Insignarius jumping spider performing a courtship dance to mesmerize his date. Image by Ethos79. 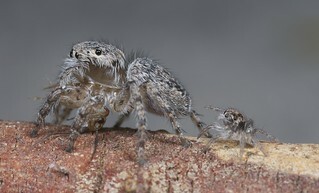 Juvenile Habronattus male and female enjoying a sunny day at the park. 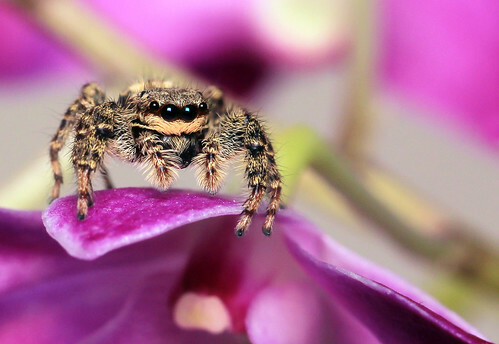 Image by Ethos79. 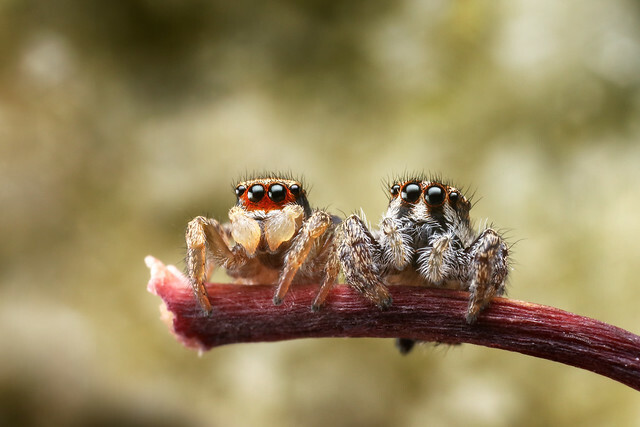 Friday Spidie: Hey Mom, Wait Up! All photos by Jurgen Otto. Photo by 林 敬偉 Taiwan-Awei.